Inspired by The DaVinci Code and The Big Short, a true story about people, technology, and different visions for the future. Blockchain is a product of the Crypto-Anarchist community called the Cypherpunks, which was founded with the premise of someday eliminating all governments on earth. It was conceived of as a technology to facilitate private, untraceable transactions between anonymous parties. Later, a “less anarchistic” version of the technology (permissioned Blockchain) was created and adopted by IBM and other companies. Advocates for both types of Blockchain have big plans to change the world. 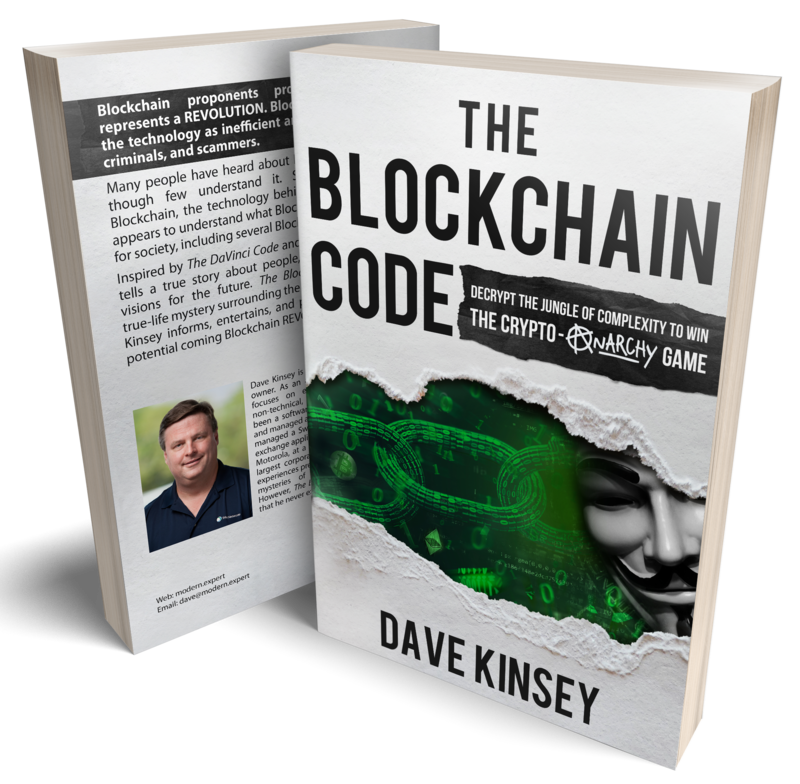 The technology can be confusing (even to several Blockchain “experts”), but this book explains it all in an easy to read narrative format where the technology is explained along the way. You do not need to be technically inclined to read and enjoy this book. It’s been written so that everyone (from novice to “expert”) should learn something new. A solid winner… this could be the authoritative book on the subject.